SCORPION ADVISES TSHEPO ON HIS APPEAL! Tshepo Mokabe from Palm Springs in Springs, Gauteng said that on 12 June 2017 Fidelity Guards received a fake email from SVB to collect money. He was employed at Fidelity at the time. The fake SVB officials were allowed to come into the branch and they collected R24 million. As a result, Tshepo and two other employees were dismissed from work. The hearing was held in July 2017. They were denied the right to bring their representatives on the day of the disciplinary hearing. The matter was referred to the bargaining council but the company didn’t attend the hearing. In October 2017 they received a default award to go back to work but the company submitted a rescission against the ruling of the commissioner. They wish to challenge the application but do not know if this can be done legally. 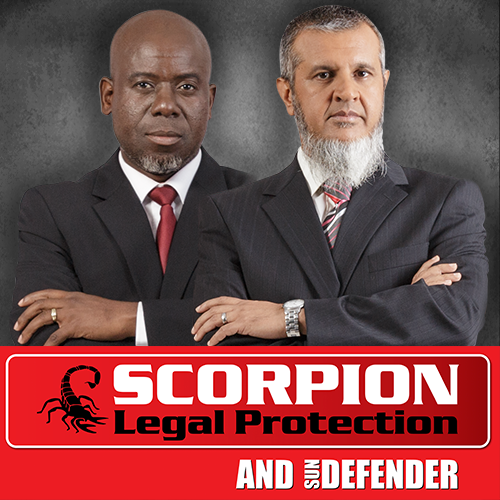 I spoke to the lawyers at SCORPION LEGAL PROTECTION SERVICES to get professional legal advice. A party may, within 14 days of becoming aware of the arbitration award apply to the arbitrator to cancel the award. Tshepo and his colleagues would have been required to oppose the application for rescission within five days of getting the award by serving notice to oppose with an answering affidavit. If they haven’t done this they must follow up with the bargaining council on the status of the company’s appeal.